Well paved driveways and well maintained parking lots are a sign of a healthy community and of conscientious business owners. 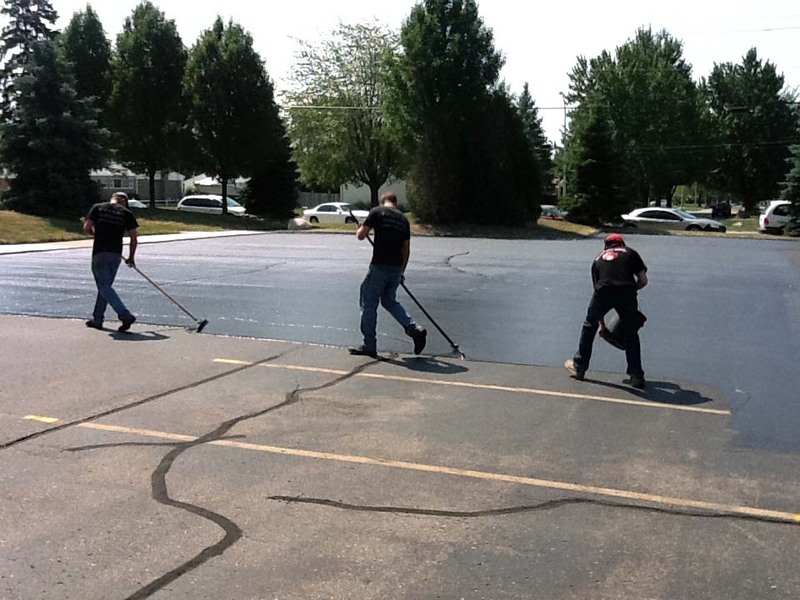 Freshlook Sealcoating provides superior asphalt upkeep and parking lot maintenance services to keep roads, lots, and driveways in excellent repair and the community looking good. 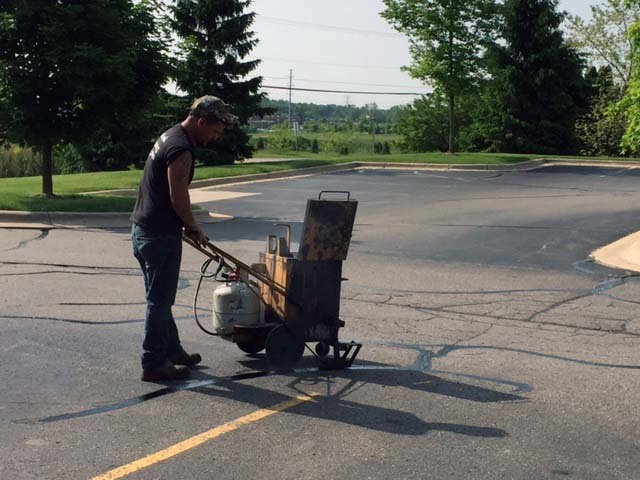 Specializing in asphalt repair and parking lot maintenance, Freshlook Sealcoating is known for completing projects on time for an affordable cost. Our aim is to provide you with superior service and sound results. Freshlook Sealcoating is always looking forward, taking industry changes in stride while maintaining exceptionally high standards. Each member of the team has an expertise and contributes to making sure the work we do and services we provide are second to none. Today, our company deals with commercial and residential clients working on asphalt projects of all kinds. From resurfacing and striping parking lots to repairing residential streets/driveways and installing speed bumps/curbs, we're one of the most reliable and responsive independent asphalt contractors in the industry. When it comes to construction of any kind, only the highest standards and most solid work is acceptable. That is exactly what you can expect from Freshlook Sealcoating. Our crew understands the paving and asphalt industry as well as, or better than, anyone. That is why we're a go-to contractor for repairs and maintenance. You can be certain there are no cutting corners or compromising on materials. Whether resurfacing a driveway, repairing cracks in a parking lot or striping a roadway, the materials are sound and the work is done right. Freshlook Sealcoating is the sole owner of the information collected on this site. We only have access to/collect information that you voluntarily give us via email or other direct contact from you. We will not sell or rent this information to anyone. All content, including without limitation, all text, design, graphics, drawings, photographs, code and software, and all organization and presentation of such content, which forms a part of this website, are subject to intellectual property rights, including copyright and trade-marks held by or licensed to Freshlook Sealcoating . All such rights are expressly reserved. You are permitted to copy electronically and print hard copies of pages from this website for your own non-commercial and lawful use, provided that such copies clearly display the copyright and any other proprietary notices of Freshlook Sealcoating . No other copying of this website, in whole or in part, is permitted without the express written authorization of Freshlook Sealcoating . "Freshlook Sealcoating ", and certain other names, words, logos, slogans and images used on this website are the property of and are subject to trade-mark rights held by Freshlook Sealcoating . Certain other trade-marks, trade names, words, logos, slogans and images listed on this website are the property of their respective owners. Use of any such property, except as expressly authorized, shall constitute a violation of the rights of the owner of the property. This website may contain links to other websites. All such other websites are independent from this website and from Freshlook Sealcoating . Freshlook Sealcoating has no control over and expressly disclaims any liability for such websites or their contents. The provision of any link does not constitute an endorsement of such linked website by Freshlook Sealcoating . Freshlook Sealcoating and its directors, employees, agents, representatives, successors and assigns shall not be liable for any damages whatsoever arising out or related to access to or use of this website or any other website linked to this website, whether or not such damages might be foreseeable and even if Freshlook Sealcoating is informed of their possibility, including without limitations liability for direct, indirect, special, punitive, incidental or consequential damages (including lost profits, lost savings, business interruption or loss of data).